I was told about this place by my friends Alison and Alexia, and with interest piqued, I decided to drop by recently. 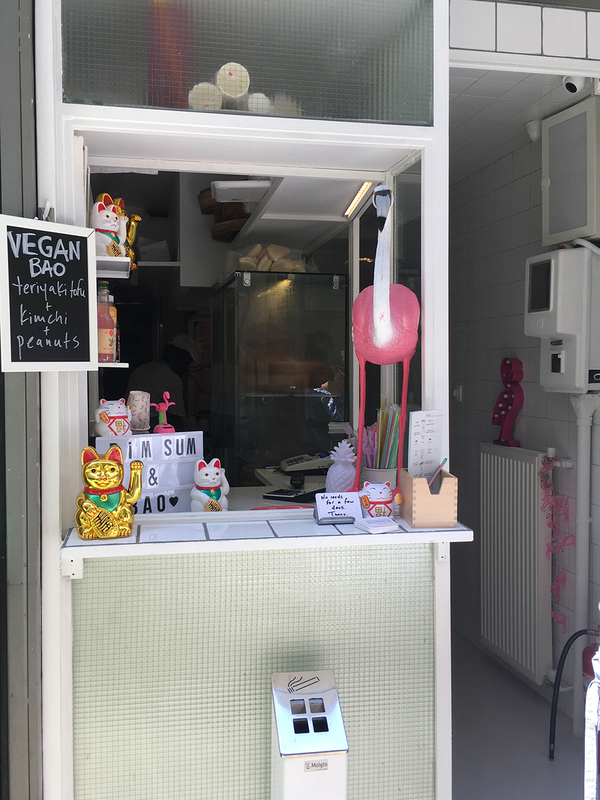 I mean, DIM SUM in ATHENS!!! It was a very hot day, and the refreshing pink grapefruit soda was a godsend. 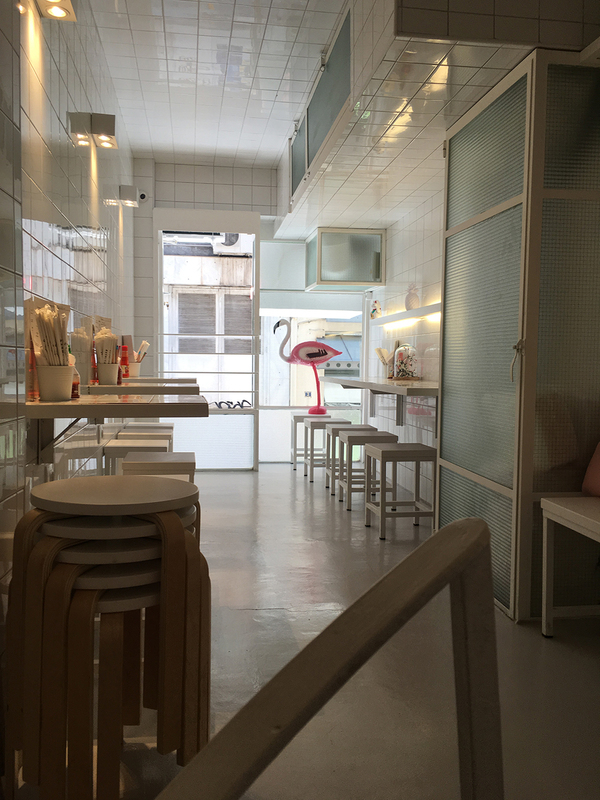 As you can you see with the decor – it is all kawaii (cute, in Japanese) and clean. 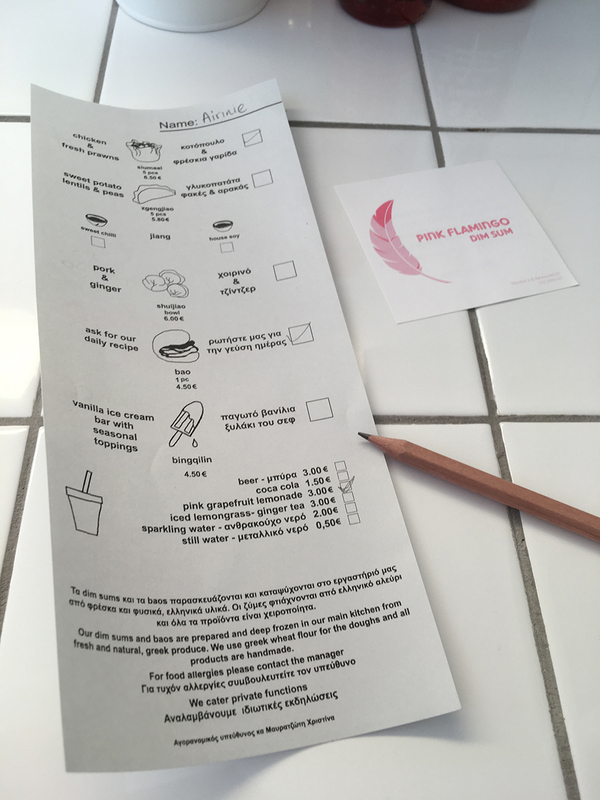 Modern ‘Asian’ decor to fit with the dim sum and bao on the menu. 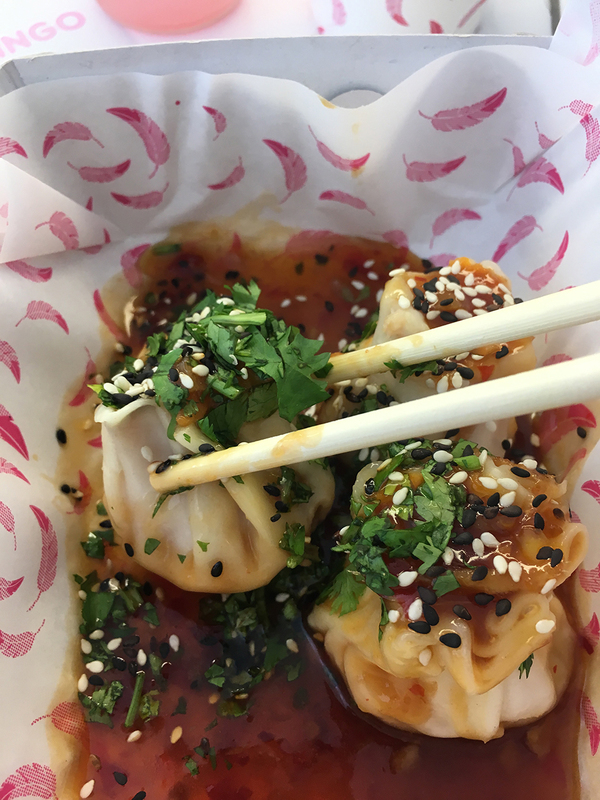 I have always (ALWAYS) talked about the lack of dim sum in Greece, and it is always something that I look for when I am in London (from Ping Pong!) and in KL. 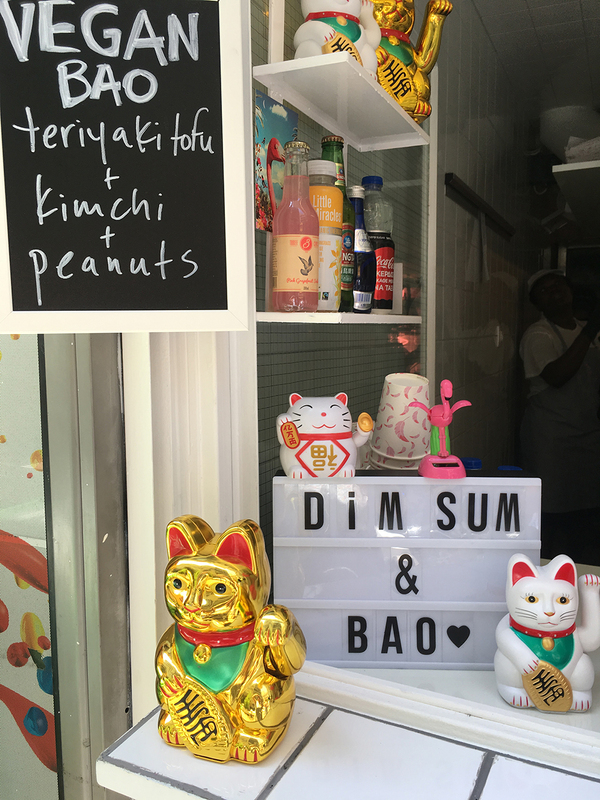 The menu is simple – siew mai with chicken and prawns, a vegetarian dumpling, bao with the ingredient of the day (the one I had was hoi sin chicken, although they have a vegan version too – as you can see in the picture above. Teriyaki tofu with kimchi and peanuts! ) and the pork shui jiao. There are drinks and ice creams too. And that’s it. Simple. 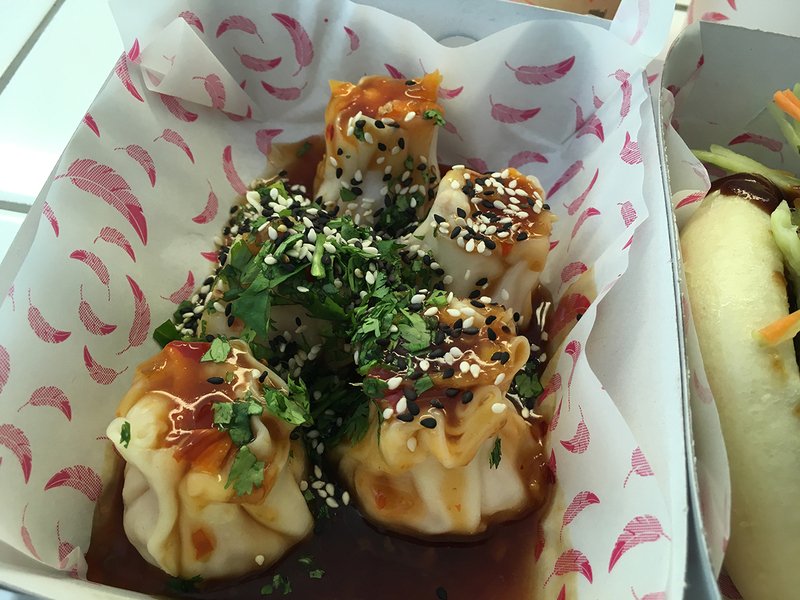 I have to say that the siew mai was unfortunately drowned in sweet chilli sauce. Not really a problem but I wanted to taste the siew mai on its own to see how good it is. The dough was abit too ‘doughy’ for me. It was slightly hard (than what I am used to), and again, the sauce. Maybe next time I will ask for them to NOT add anything on top. I did come for early lunch/brunch, and maybe I shall try to go at a later time to see if it has any effect on the food. 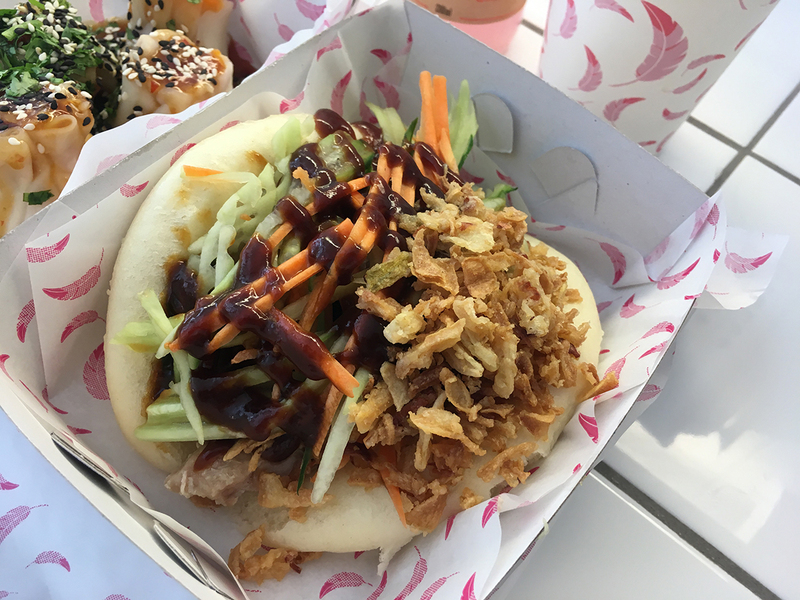 As for the bao, the bun was fluffy and yummy. The chicken was cooked nice and soft, but again, too much hoi sin sauce added on top. The crispy onions and crunchy pickled vegetables added a nice texture finish to the whole bun sandwich. Would I come again? Most certainly. And I like that they have free wifi and lots of plugs in the seating area upstairs – perfect place for the digital nomads who want a nice and inspirational place to work in downtown Athens. 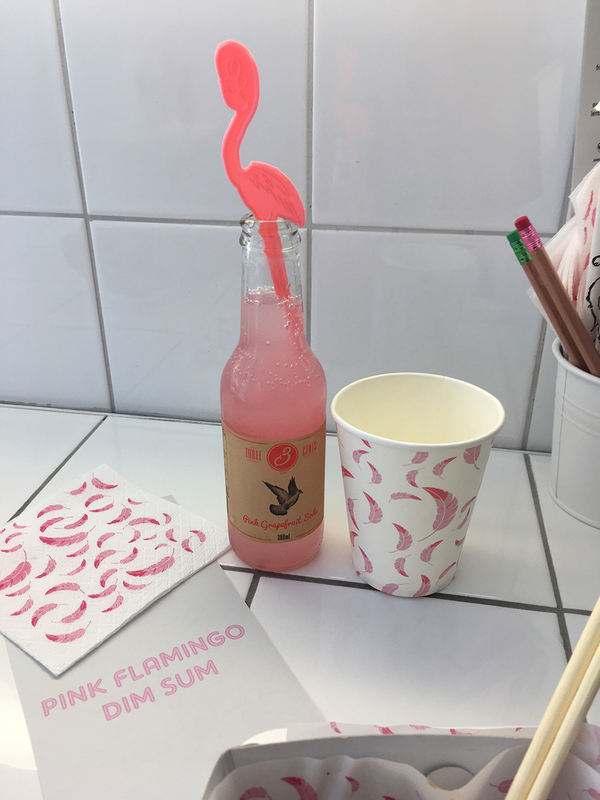 Pink Flamingo can be found at Skoufou 2-4, downtown Athens, just off Mitropoleos. 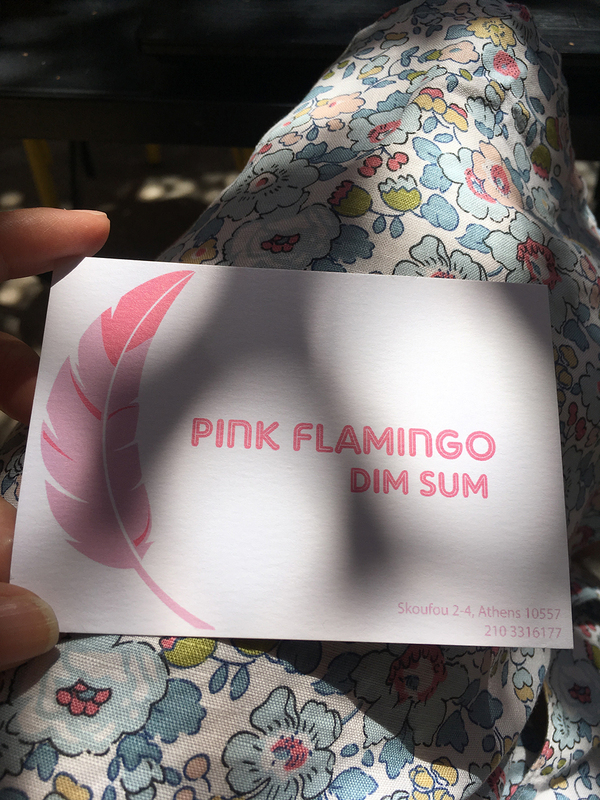 Check out my instagram for more pictures of Pink Flamingo and my other adventures in Athens! this place is very close to my office! I’d love to visit one day so it was great reading your review!